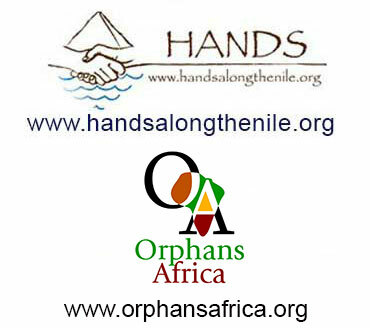 WE DONATE 5% OF OUR PROFITS TO ORPHANS AFRICA & HANDS ALONG THE NILE. We believe it is our responsibility to give to charity. That's why we donate 5% of our profits in a transparent and trackable manner to ORPHANS AFRICA and HANDS ALONG THE NILE every year. About Orphans Africa. Education is one of the keys to changing a society and moving people away from poverty. Educating children is also a long-term project. It’s not a quick one-time effort, but must continue year after year after year. That makes operating a school and paying the expenses a big job. Orphans Africa uses a self-sustaining model. In addition to orphans, OA also admits children to their schools who have parents who pay school fees. 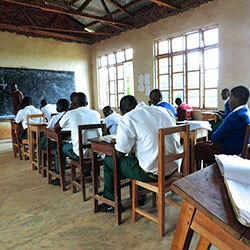 Those fees operate the daily expenses of the school, allowing the orphans to attend for free. Orphans Africa saves a lot of money each year by using this model! The funding from Orphans Africa can therefore go toward continued development: classrooms, science laboratories and equipment, libraries, water wells and toilets, as well as improving the overall quality of education. This method allows donated funds to more quickly and efficiently complete construction of the school so that it is fully operational and can even educate more students. Therefore, we don’t have to continue paying for operations on an indefinite basis, which would be very expensive and never end. Our financial exposure is finite. About Hands Along the Nile. Hands Along the Nile Development Services (HANDS) is an American non-profit organization that is committed to building bridges between the people of Egypt and the US. In addition to our programs of exchange and dialogue, HANDS also supports projects aimed at bringing socioeconomic stability to Egyptian communities. We believe that this stability creates an environment in which democratic ideals can flourish and those susceptible to radical ideologies find peaceful and productive means of pursuing their life goals. People sometimes ask us, “Why Egypt?” Despite being one of the largest and the most influential countries in the Middle East, Egypt faces numerous social and economic challenges to progress and to a peaceful, prosperous future. A key to bringing stability to this region is empowering communities to tackle their own problems through participatory decision-making and responsible self-governance. We have chosen to focus on a leading country in the region because we know that it serves as an example for many others. At the same time, for Americans in these tumultuous days, it is imperative to cultivate relationships with the people of the Middle East. Engaging with Egyptian community leaders in dialogue is equally important for both our countries in seeking to understand “the other.” As our two regions toss accusations and stereotypes about, we want to bring people together, face to face, into conversations that challenge their assumptions and build bridges of understanding. The mission of the TownCenter Partners, LLC Bar Review Scholarship is to provide financial assistance to deserving third-year law students and recent graduates as they prepare for taking the bar examination. TownCenter Partners recognizes how important adequate bar examination review can be, and it also recognizes how much help a bar review course can be as a supplement to a law-school education. With those things in mind, TownCenter Partners is pleased to offer a scholarship for a Kaplan Bar Review course twice each year, for the February and July administrations of the bar examination. The scholarship is open to any third-year law student at an ABA-accredited law school or any graduate of such a law school who has not yet taken the bar examination. To apply, download the application form as indicated below and fill it out. If you don't have Acrobat Reader, click the button below to be linked to the page where you can download the FREE application. Once completed, please send the form to scholarship@yourtcp.com.